Welcome! Thank you for visiting! I am originally from Waterloo Region and grew up going to our family cottage on the beautiful Bruce Peninsula. Once you've experienced the crystal blue waters of Georgian Bay, there's no turning back! I am so blessed to have been able to move to the Grey Bruce area in the summer of 2014 with my wonderful husband and amazing kids. What a privilege it is for me to be able to live and work in this beautiful area of Ontario which I have always loved! My love for makeup and all things beauty began at a young age. I began my career in 2011 with formal training from Gina's College of Advanced Aesthetics in Waterloo, Ontario. I began focusing on spa services through my home based business. 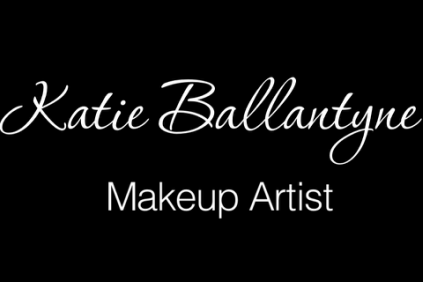 Makeup artistry soon became a passion and I knew I had found my niche! I was so fortunate to have gained additional one on one training by a professional, talented and elite makeup artist. I was given the great privilege to assist her and work alongside her with clients at weddings and special events in the Kitchener -Waterloo area, before venturing out on my own. Though we still are able to work together from time to time, in 2013 I set out on my own as an artist and I've never looked back. I absolutely love what I do! I find it very rewarding to meet so many different and beautiful women of all ages. I'm passionate about creating the makeup looks that enhance and bring out their individual beauty and uniqueness. Staying current with trends and offering new products and palettes are ways in which I love to help brides and all women, keep their look fresh and new. My makeup kit consists of high quality, professional products including: Arbonne, Urban Decay, MAC, NARS, Stila, It Cosmetics, Clinique, Lorac and Smashbox. Everything from proper skincare, to eyebrow grooming, lay the foundation for beautiful makeup. I can assist you in both of these areas, if this is something you need a little help with! I am also skilled in brush work and blending which create a flawless, seamless, photo finish look for all of my clients. I take pride in giving great attention to detail. All of these aspects bring about a gorgeous look. When we feel good about the way we look on the outside, we naturally feel better about ourselves, allowing our confidence and inner beauty to shine through!